The Gamers Rythmn Heaven: Nintendo DSi - Reading For New Times – Exposing Intellect, People and Esthetics. I’ll be honest, the last time I heard someone fling the word Nintendo around was a long time ago in a far away land when I was knee high. Actually, I lie; there have been blasts of Nintendo across the world in the past three years as the Nintendo Wii was launched in the United States on November 19th, 2006. Since the launch, the console has gone on to sell 23.54 million units. The Wii was popular for not only the $200 million advertising campaign that showed all walks of life; Japanese business men traveling across the oceans to chill with suburbanites swinging and swatting while playing Nintendo Sports games right in their living room! The Wii remote as it is referred to detects motion in three dimensions so movement is required to make the game work. A flick of the wrist there, a flick of the wrist there and all of a sudden Venus Williams becomes easy to control on the tennis court. The concept is targeted at gamers of a different light, i.e. gamers not as well versed in video cards and Final Fantasy. In 2004 however, the latest edition of Nintendo’s hand held console, the Nintendo DS was launched. The clamshell design came with 2 screens, a screen for the visuals and a touch screen. 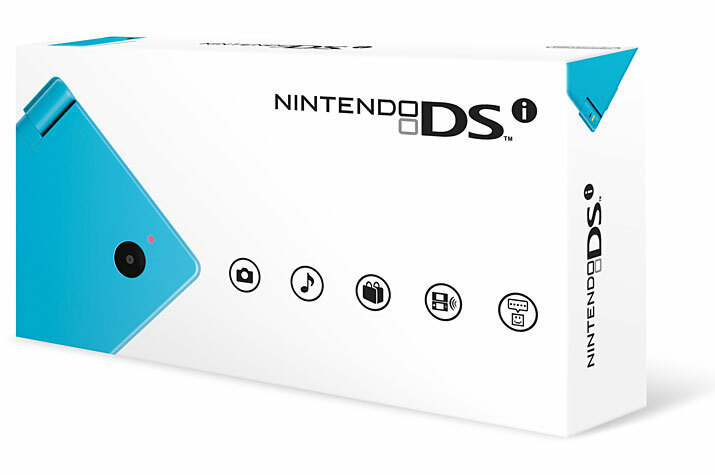 Recently the Nintendo DSi, the newest upgrade to the hand held console from Nintendo was launched in Canada on April 5th, 2009 and once again Nintendo added to the seventh generation of video game consoles. 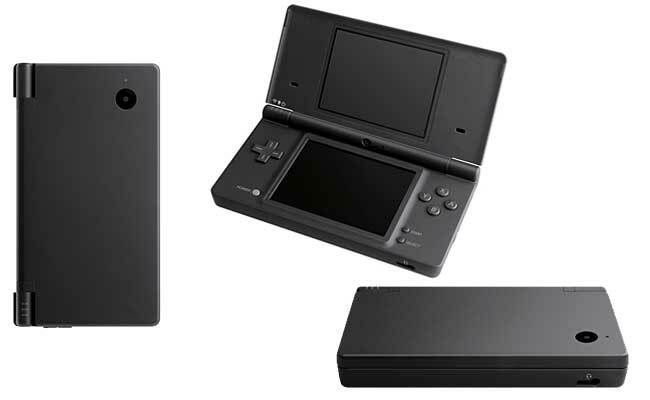 Today, the Nintendo DSi is smaller and thinner compared to the first version launched in 2004. The console comes with two 0.3 mega pixel cameras, a front view camera and an inside view camera that can be switched around depending on what is being photographed. It is easy to use and the camera comes with over 7 camera modes. The editing panel is also funky and allows for manipulation of images with color, distortion and graphic manipulation that allows you to stretch and contort images. Sure, the imagery may be cleaner than with the previous edition but still lacks clarity like you would find from a digital camera but it is handy to have for quick shots and portraits. After talking with other gamers about the new Nintendo DSi, the most complained about feature is the DSi can no longer play Gameboy Advanced games as the slots have been removed from the DSi, which you can still find on the original Nintendo DS. 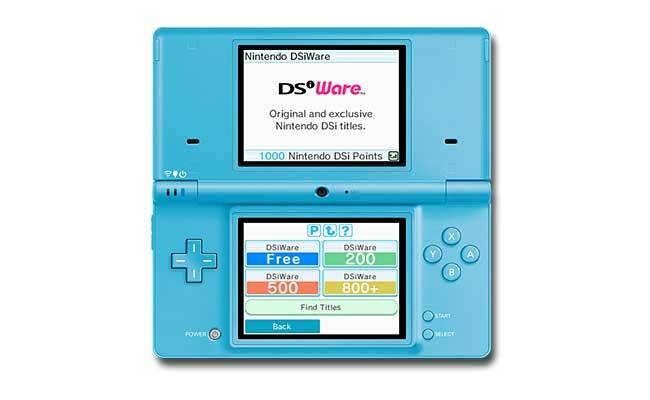 The DSi also has an SD card slot that allows users to store more data. Like the Nintendo Wii, there is a Wi-Fi service that users can use to download games bought in Nintendo currency from the online Nintendo store which can be accessed from the device itself. A web browser exists but it’s really nothing to write home about. There will be no Twitter updates or Facebook updates just quite yet from the Nintendo DSi although it was recently reported that Facebook users with a Nintendo DSi will soon be able to upload photos taken with the camera. The ease in which games can be played is incredible, for users who aren’t regular gamers the Nintendo DSi presents an easy system for game play. Users are provided with a stylus to touch the screen or flick the screen to create moves within the games. 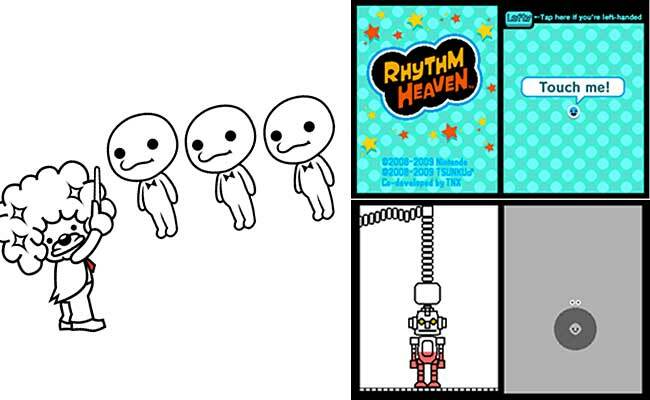 Rhythm Heaven, the platform game released to coincide with the release of the DSi allows users to tap, flick and hold the stylus on the touchpad to generate moves as characters dance and march to Japanese electro beats. For some though the lack of use of buttons may prove to be more irritating than it should be especially if you are used to the button game play that has been the highlight of all Nintendo games minus the Wii. Buttons or no buttons the DSi is fairly easy to handle and can be played by people of all ages. Even though the DSi may be trying to stay up to date with all the latest technologies, it still presents itself as a simple gaming device built for anyone looking for a break from the fast paced life that we all live these days. The Nintendo is so effortless to control that it has been reported that the Queen of England herself indulges in a little Nintendo now and then. Overall the DSi presents itself as a good device to have for road trips or for time spent on the bus rides home from work. If you are looking for a distraction for the kids or from the kids then the DSi is a good hand held that has a large selection of games that will keep everyone entertained. Since it’s launch in April the Nintendo DSi has gone on to sell 2.02 million units worldwide. The “I” in the name for the Nintendo DSi is meant to represent the two cameras that can be found on the gaming device. CPU: The DSi has two ARM architecture CPUs; ARM9 and ARM7. The main CPU is clocked at 133 MHz. RAM: 16 MB of RAM (4 times as much as previous models). Wireless: 802.11 internal wireless connectivity.